My second sponsor is Celadon Road Independent Consultant Angie Bechtold. Angie is a hip, green mama residing in the northeast. After you read more about her in the Q&A below, be sure to complete the earn early entries! Celadon Road is dedicated to promoting greener, healthier and more socially responsible living by offering our customers the highest quality natural, eco-friendly products for their everyday needs. I think what drew me to doing direct sales is the ability to take control of my schedule. To work at a pace that allows time for my family. Our products are unique because they are truly organic and natural. Beauty comes from with in I truly believe that a healthy body and mind bring out natural beauty. Thanks Angie! 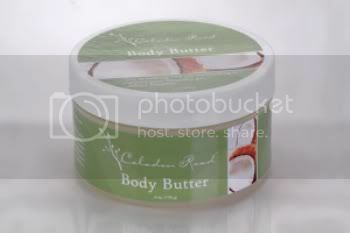 She is giving away this Celadon Road Body Butter during the Christmas in July Giveaway Hop right here on Marlie and Me! Smother yourself in pure nourishment! Using only gentle, natural and Certified Organic ingredients, our body butter is more than just lotion, it’s a support system for what the body does best...keep you healthy! Created with the notion that the health of the body and the planet go hand in hand, we’ve left out the harsh, artificial and synthetic ingredients when creating this ultimate hydrating moisturizer. Minimally processed, hypoallergenic and cruelty free! My sister used to sell Body Shop and I loved their Body Butter!! This stuff sounds great. But the facebook "like" button returns an error.